Billboards which are fixed to an overhead structure and span a road are known as gantry billboards. 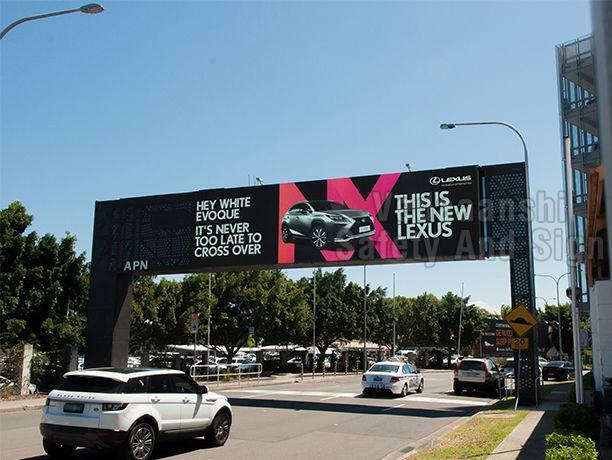 A double-sided gantry billboard provides advertisers the option of communicating their brand message to either side of the traffic. The size, prominence, and location of gantries make for impactful viewing for those who are part of the vehicular as well as pedestrian traffic. Gantries & Flyover Panels have a distinct design with a protective polish on the surface and a high durability.